As most of you may know, we live on a twenty acre piece of land in Texas. We call it a ranch, but by Texas standards it is probably not even an average size farm. However, we can call our little piece of heaven whatever we want to, so there. And besides, Song and Dance Ranch sounded a whole lot better than Song and Dance Farm. As a side note, while we were building our place twenty years ago, we had the fencing and gate installed early on. The gate has letters across the top that spell out “Song & Dance.” During construction, a gentleman drove onto our property uninvited, and asked if this was going to be a dance hall. Actually, the name was chosen because Regina is a dancer and I am a singer. This is the wire used in hay balers. You would not believe the complexity and sheer genius of these machines. I owned one several years ago, when I was cutting and baling our own hay. From what I understand, the design of these have not changed since the early 1900’s. They are designed to scoop up the hay from piles called windrows, cut the stems to a certain length, compress the hay, and tie it securely with wire. The hay bales are then dumped on the ground for collection. Unfortunately, most balers these days use twine instead of wire. That makes the acquisition of baling wire more difficult. We still have some left, but our supply is dwindling. I may be forced to buy a roll, just to have the wire when needed. This wire is invaluable for many applications, mostly those requiring a strong, permanent connection. These situations occur more often than you city folks could ever imagine. I don’t know if you are aware of the fact that there are hundreds of books regarding the use of duct tape, but you might want to check it out. My ex-father-in-law (he is deceased) was a firm believer in the universal benefits of duct tape, but many of his uses were ineffective, and due to some need for repair he, himself, had created. Many people refer to this product as “duck tape,” but it is not intended to fix ducks, it is intended to be used on air ducts. 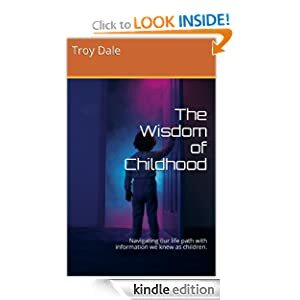 You may be asking yourself, “Why did he decide to talk about such mundane items during a time when we should all be thinking about restructuring and redefining our lives for the new year?” Well, the answer is simple. Life goes on. I was out on the fence of our property removing the lights that had illuminated the Winter Solstice season, all of which were attached to the fence with zip ties. There are recurring cycles. Today may be just another day, but it is a part of the cycle of life. And there will always be “things” that need repairing, attaching, releasing, connecting, and taping together. We should be thankful that we have baling wire, duct tape (gorilla tape), and zip ties to get us through this life. I know I am. This entry was posted in Uncategorized and tagged baling wire, cable ties zip ties, dancer, duct tape, farm, gorillatape, life cycles, ranch, singer, Texas, Winter Solstice. Bookmark the permalink. Some of my best memories were of my first job – summer breaks during college. I helped fill orders for farmers and ranchers for their baling and harvesting equipment through Sperry New Holland in Arlington. And when the sales/service manager was out of town, I got to peruse through volumes of heavily technical material to help identify parts, and sometimes, even fill emergency orders. The next year I worked for a Charolais Cattle Trade Magazine as art director. I learned to appreciate the intensive labor and risks endured by farmers and ranchers, and even “ranchette-ers”. Our favorite customer at Sperry New Holland was the late actor, Dale Robertson. No doubt they all had to make do with some duct tape and other yankee-ingenuity until they got new parts. It was tragedy to break down in the middle of high activity and many had to drive hundreds of miles one way to get parts. “Song and Dance” has been a picturesque asset to our surroundings and the labor required to maintain it and its human and other inhabitants is greatly appreciated. Thanks for the kind words. If I had known you were so well versed in baler maintenance, I would have called on you to help out from time to time. That machine had at least a hundred grease points, I,m not sure I ever got to all of them. And yes, you could always count on a break down at the most inopportune time during the baling season. I have no need for baling wire or a hay baler, as I’m a city boy. I love duct tape, although I am tempted to get some Gorilla Tape when I need something semi-permanent. And I love zip-ties. I use them to wrap around all of my cables and wires from my computer, docking station, monitor, cable modem, and printer in order to keep things at least somewhat tidy on and under my desk. Yes, zip ties are some of my favorite things. They are so easy to use. Be careful with the gorilla tape, it is some tough stuff, but well worth it. Thanks for the comment. Please pass the Gorilla Tape! I need something to “hold it together”! We all do. Sometimes it seems that even with the gorilla tape, things are still a little shaky. That’s when the baling wire comes into use. Thanks for stopping by and commenting. SONG & DANCE…how appropriate and clever. Exactly what I would expect. I’m quite familiar with quick fixes, been using them since I was a kid. Isn’t it interesting how they seem to become forgotten and inadvertly raised to the status of permenent? I’m not sure I even knew about baling wire, duct tape or zip ties when I was a kid, but necessity dictates their use at this point in my life – both literally and metaphorically. Thanks for the comment. I so like “Song and Dance Ranch” and your writer’s or singer’s ear which eliminated “farm” as a possibility. Your list of must-haves is also impeccable, though I’ve never tested the virtues of gorilla tape. I’ve never used baling wire either, but I remember my dad using it to repair all manner of things around our farm. The only other necessity I always have on hand is WD40, which is my cure-all for anything that becomes balky — except my husband because I don’t think it would work on him. Thanks for the comment. WD40 was not on my list, but it definitely is on my wife’s list. Must be a “girl thing.” Luckily, she has not seen fit to use it on me. 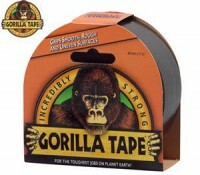 Try Gorilla Tape, but be careful, it is tough.